Looking to stay productive? Wonder what tools are out there to keep organized? I’ve tried a lot of tools, apps, websites over the last few years; some I kept using and some I tossed away. Here are the 10 tools that I use on a regular basis in my teaching in a video blog format!! If video is not for you scroll below to read the transcript. Don’t miss my next blog post. Subscribe for updates, lessons, ideas, and tips and get notified by email when they go live. This was my first go at a video post and I would love to know what you think. Think I should keep doing it? Think I should stick to just text? Let me know in the comments below or send me an email. For real, I would love your feedback!! Want to access the spreadsheets you saw in the video? Go here and scroll to Spiralled Curriculum. Want to read more about Freshgrade? Go here. Want to read more about Desmos? Go here. Hey, welcome to my first ever video blog post. I figured if you’ve been reading my blog posts and lessons already…..why not hear it straight from me! So thanks for watching. Today I want to dive into some functional items that surround my day-day teaching life. After workshops or sometimes I’ll get emails of educators are asking: What tools are using to? And How are you staying organized? So here are 10 tools that I use daily at home and in my classroom. I’ve organized them in a sort of chronological order Starting with when I wake up till when I go to bed. 1. After I wake up and while having my first of a few coffee I check Feedly. It’s a web or mobile app that allows me to stay up to date with all your blogs and other blogs I read. When I come across a new math blog to read I grab the URL and add it to my Feedly list. As new blogs get updated they automatically get sent to my app where I can read them. Feedly keeps track of the posts I’ve read and which I haven’t read yet. Love it for keeping me updated on all not just math stuff but news and entertainment too. So Feedly to start my day. 2. Then if you follow me you probably know that occasionally I’m on twitter posting what’s going on in my classroom, but I regularly check it in the morning to see the MTBOS hashtag looks like and all the other mathy things going on out there. 3. On my way to work I almost always cue up either an audiobook or podcast I’m listening to. These are not math related. For example I just finished a sci fi book from Audible.com called the Rise and Fall of DODO. By Neal Stephenson….it’s a great book about time travel and alternate worlds. Or I’ll listen to This American life or the Freakonomics podcast on my podcasting app. Crimetown is great too! I’ll listen to these on the way home too and I find it’s a nice relaxer and let’s my mind wind down from all the stuff from school. When I get to school I boot up my laptop and access my Google Drive. I store all my school files here. Since they’re in the cloud I have them wherever I go…at home, at school and even on my phone. If you get the Google Drive desktop app….I think they may have renamed it Backup…..Then it’ll create a folder on your computer and whatever you put in that folder will automatically get synced into the cloud. And the best part is if I edit an assignment at home it will get synced and I can open when I get to school without me having to upload it first. It’s automatic….Such a time saver!! So I’ll check out my day-to-day spreadsheets for my classes and print out or get ready any files I need for the day. I keep ongoing spreadsheets up to date with the strand, topic, learning goal, notes, and lesson files for each activity each day. Since I link to each file I need right in the spreadsheet it’s super easy, say, next semester to access what I need. It’s all in one place. This has been huge for me in keeping me organized!!  If you want you can access my spreadsheets on my Peek into my classroom page on mrorr-isageek.com . One of my most used tools these last few years has been Apple’s Keynote. It’s a presentation software but I use it for everything. I make all my slides for my activities….use it run those activities, quizzes, handouts. I use it to edit images and videos too. I even made these images and animations here in this video using it. So great! It was even a huge reason why I bought my latest MacBook….I wanted access to Keynote!! Once we get rolling into our activity I love using the camera app on my phone or iPad to capture student thinking. While students are showing their thinking on a task I take a snap shot of their work and it’s great for putting up on the big screen for all to see. It’s a game changer when students see different ways of solving problems from their peers. It’s not a new idea but I have a stand that allows my ipad to act as a document camera. Lately I’ve been using it to display using algebra tiles for factoring or solving equations. It’s definitely a multi-use tool. If you’re a regular follower of my blog then you know that I’ve been a big fan of Fresh Grade. It has allowed me to take an individualized assessment routine that Kyle Pearce and I co-developed using spreadsheets into a more manageable environment. As a quick summary. My students access their fresh grade account which displays our course learning goals…and it shows that students progress towards mastery on those goals. My students choose a goal that they need to improve and access next step problems, videos and resources to push them toward demonstrating mastery.What is the best is that all of that evidence (video, pictures, audio) gets stored right in fresh grade for me the teacher to see. And comment on. I’ll include a link to another video I made about using fresh grade for this process below this video. If you’re looking for a tool to help you the conversations and observations you have with students with their evidence then check out fresh grade for sure. Desmos is a no brainer! I use it to check answers when I make assignements, it’s my new calculator to just calculate things. Since it lives in the web and also on my phone I can use it wherever!!! Activities on teacher.desmos.com have changed the way I create lessons, and activities. It’s a lesson delivery system that syncs with what I want to do in my classroom. I’ve written a lot about Desmos in the past so I’ll include some links below. Ever want that picture from your textbook in your digital notes for say homework take up or to use as an example? I do. That’s why the screen capture keyboard shortcut built into my MacBook is a combination of keys I find myself hitting all the time. Just hold down SHIFT, CMD, and 4 and then select the portion of the screen you would like. The picture will show up on your desktop for you to use. And if you hold SHIFT, CTROL, CMD, 4 down. Your picture will be placed in your Copy function and then you can paste it directly into a document. I’ll take screen caps of problems I find so that I can drop them in my keynote file and edit them to show or not show exactly what I want. Like take this problem from the TIPS4RM document…I screen grab the image and then I’ll cover parts to add little mystery or curiosity into the problem. Then I can control the flow of information to my students. So useful!! Before I go to bed….I break out and update my Streak app for all the goals I completed that day. I’ve been using this app on my phone since September…It’s been so helpful to keep me on pace for the goals I set for myself. For example I set up a goal to run every day. When I run I click the run button on the app and it keeps track of how many times in a row i run……If I don’t run I can’t push the button and therefore I lose the streak. Keeping my streak going is what motivates me to complete my goal. So helpful for so many goals: Making my lessons plans, marking, exercise, putting my phone away while the kids are awake…..Streak helps me become better! And there you have it! 10 tools I use daily to keep me organized, focused, and productive! What are the tools you use on a regular basis to keep you productive? Leave a comment below. I’m always looking for new ones. If you liked this video share it, maybe it will land in the lap of another teacher who will benefit from these tools. Subscribe to the blog so you don’t miss the next video post. Well done Jon, thanks for sharing! I appreciated the transcript and screenshots from the video. I live in Indonesia where Vimeo is blocked, so I can only access videos with a VPN. Thanks for sharing! I’m happy to include them!